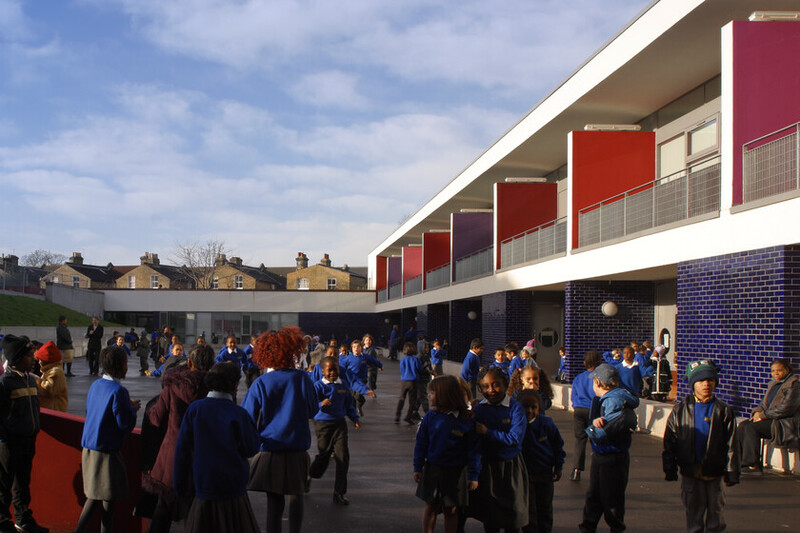 This two form entry primary school located in South London is an amalgamation of three previous primary schools and can accommodate 420 children. In addition, it has a Special Educational needs school (SEN) for the profoundly deaf and a nursery with a Sure Start crèche. 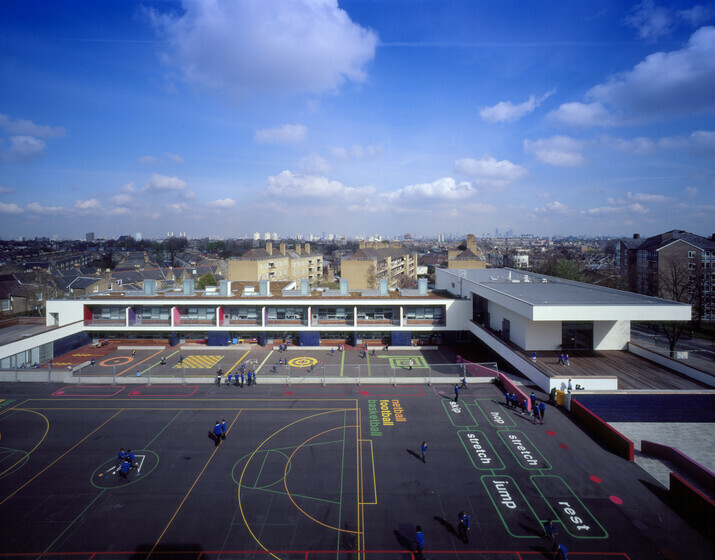 Jubilee School is designed to operate as a civic centre as well as a traditional school. 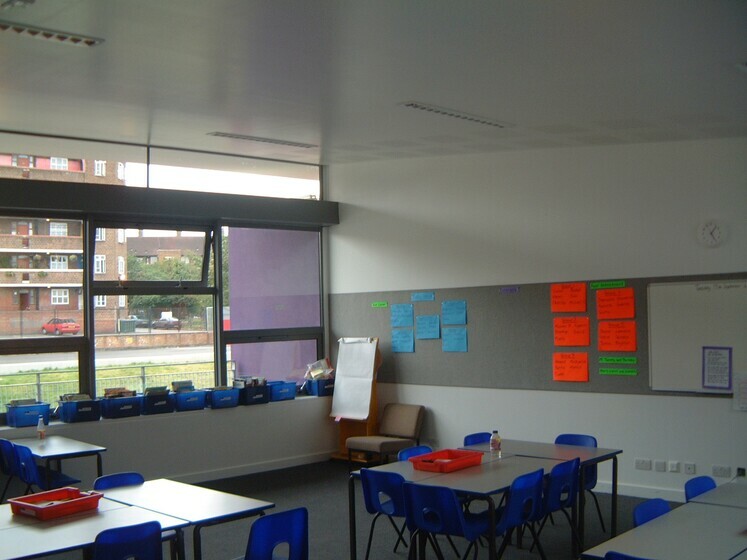 Classrooms run east to west to ensure they all receive good daylight and passive gains in summer. 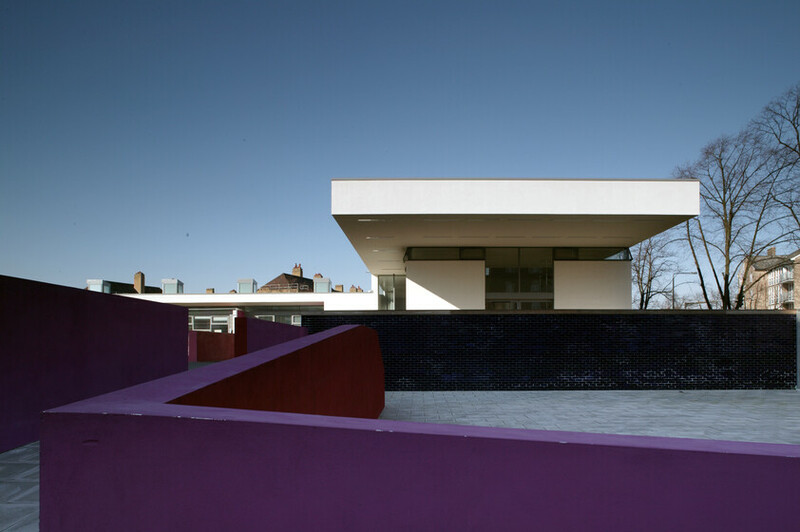 Low-energy solutions and recycled materials featured highly in the design. 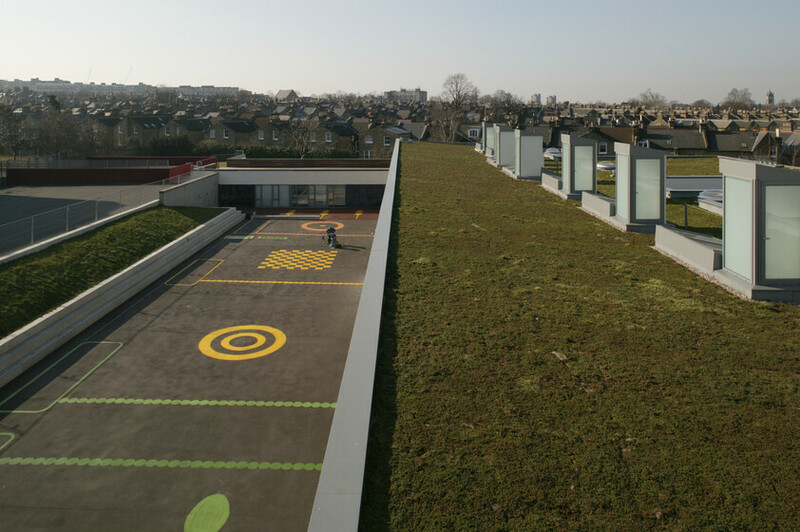 Each classroom has its own terrace/balcony to control solar gain and is naturally ventilated using manually operated windows and vent chimneys. 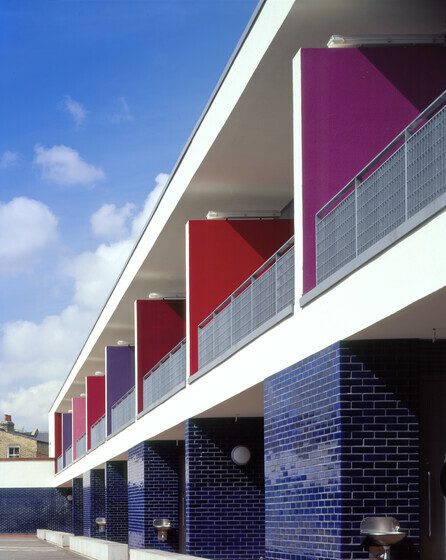 The façades have both high and low-level opening panels. 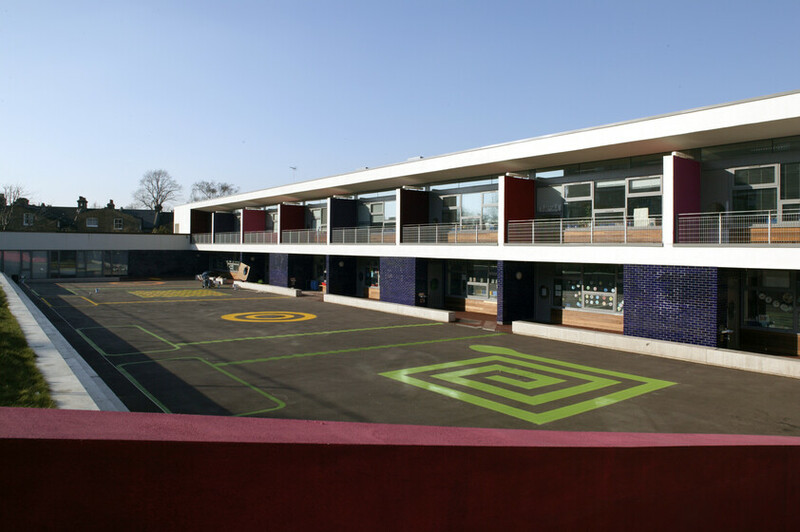 Natural day-light is used where possible, including skylights on the upper floor, and individual automatic dimming controls in the classrooms control energy usage. Underfloor heating is arranged in zones, so that only areas which are in use are heated, saving energy and costs.